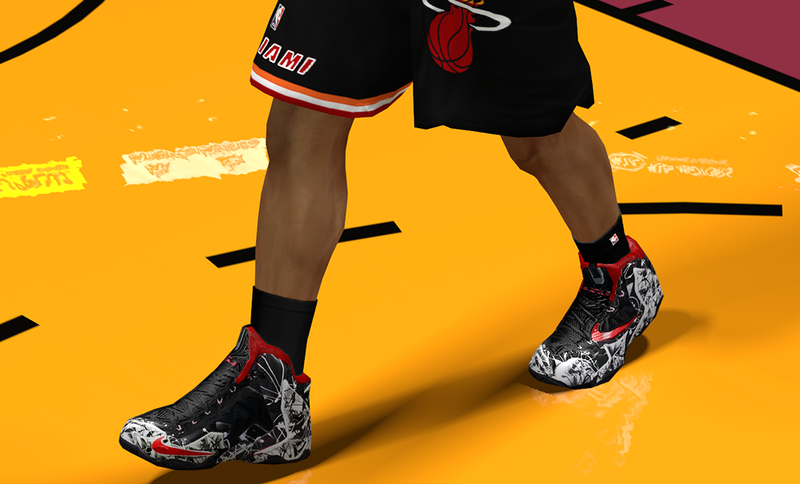 This patch adds the “Graffiti” colorway of Nike LeBron 11 shoes in NBA 2K14. 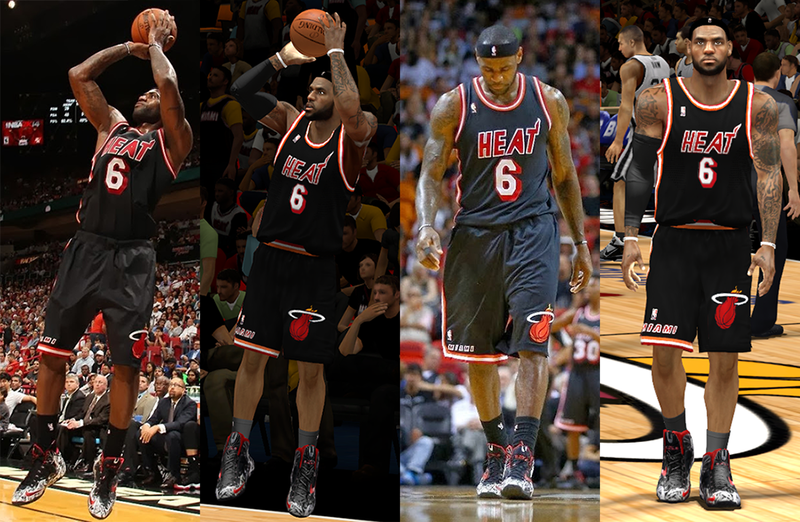 LeBron James debuted these awesome kicks during a game against the Spurs this season. 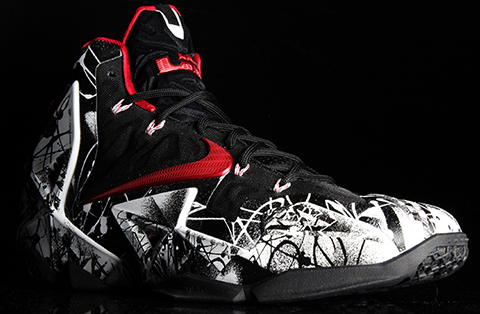 It features Miami Heat's “White/University Red-Black” colors with graffiti graphic across the upper. 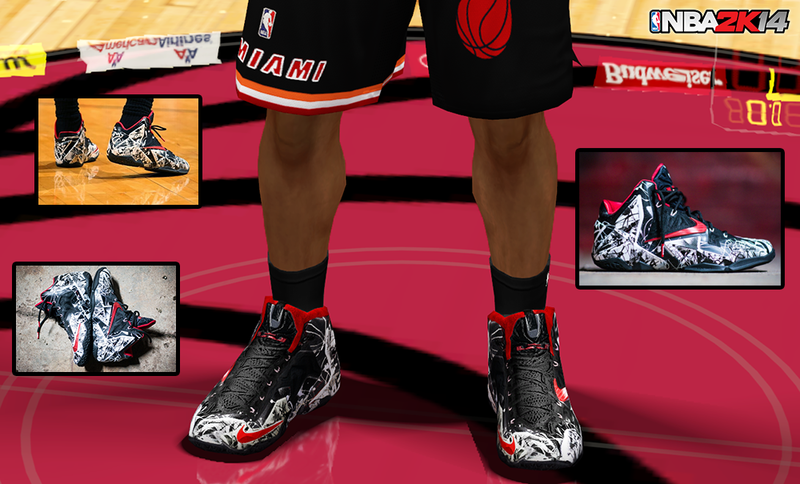 Installation: It will replace the LeBron X BHM sneakers in the game, so create a backup first before installing this mod. Extract the file to your NBA 2K14 folder and assign it to any player.